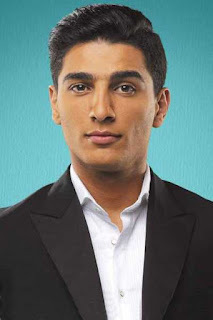 Mohammed Assaf, a Palestinian singer, was born on 10 September 1989 in Libya. Full report on the life story of Mohammed Assaf, biographical information from Wikipedia and the latest news. Full real name: Mohamed Gabr Assaf. Date of birth: 10 September 1989. Mohammed Assaf was born on September 10, 1989 in Libya, and left with his parents when he was 5 years old to live in Khan Yunis refugee camp in Gaza. He was an elementary student and a participant in school radio. His family noticed his singing talent since his youth. Has been known since his participation in the talent show Arab Idle in his second season on MBC 1. The outgoing Palestinian Prime Minister Salam Fayyad through his official website on Facebook appeal to the Palestinian people to vote to support his fellow Palestinian, Mohammed Assaf, From Arab Idel. Some newspapers commented on the similarities between the resigning and the ambitious joint president. Mohammed Assaf won the title of Arab Idol, and published the news of his victory a lot of newspapers and channels and global sites such as Yahoo, BBC Persian and Arabic channel, Voice of America, Arabia and Al Jazeera. Also published the news of the victory of Mohammed Assaf in Iranian positions of the site Baltrin and the era of Iran. The title of Goodwill Ambassador to the United Nations. The title of the Palestinian ambassador for good intentions with diplomatic advantages granted to him by Palestinian President Mahmoud Abbas.